For single drawers with options of common keys for sets of drawers. 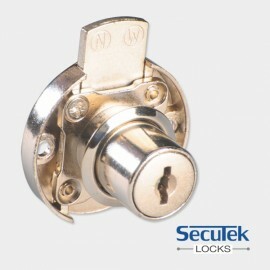 Also available in sets of 2, 3, 4, 6, 12 and 48 with common key. Also available with brass ring. 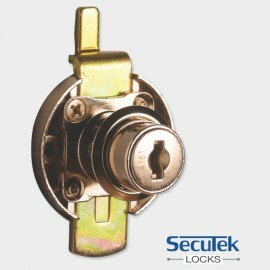 Round multi purpose lock having a CRANKED BOLT specially designed for overlay shutters or drawers with overlay facias.